Boa Constrictors have been pet trade staples for decades. Of the 10 described subspecies, the Colombian or Red-Tailed Boa (Boa constrictor constrictor) is the best known, and is in fact one of the most popular snake pets. Commercially bred in huge numbers, the Colombian Boa is an excellent choice for some, but not all, snake enthusiasts. North America’s Rosy Boa (Lichanura trivirgata), on the other hand, has only come into its own recently as a pet, but interest in now skyrocketing. Those with limited space who are seeking a “big snake in a small package” need look no further than this inoffensive beauty. In the following article I’ll compare the care needs of Colombian and Rosy Boas, so that you’ll be able to plan ahead and maximize your pet-keeping experience and your snake’s quality of life. Detailed care information is provided in the articles linked under “Further Reading”. As always, please also post any questions you may have, and let me know which species gets your vote. Uploaded to Wikipedia Commons by Theodore Garland, Jr. Although individual personalities vary, both adapt well to gentle handling. Rosy Boas tend to hide their heads when frightened, and their smooth, glossy scales may render handling a bit tricky. As with any snake, care and adult supervision must be exercised, and the animal’s head should never be allowed near one’s face. Colombian Boas are not domesticated animals and must never be handled carelessly, as even long-term pets may react to scents or vibrations that people do not perceive. Bite wounds from Colombian Boas can be severe, and pets should never be carried about one’s neck (other similarly-sized constrictors have caused human fatalities by tightening quickly about a handler’s neck). Two experienced adults should always be on hand when specimens over 6 feet in length are fed, cleaned or handled. Colombian Boas average 5-8 feet in length, and are stoutly built. However, some individuals grow quite a bit larger – up to 13 feet, 6 inches and 14 feet for the record holders, both captured in Surinam. Averaging only 24-30 inches in length but also heavily-built for their size, Rosy Boas are obviously much easier than Colombian Boas to house and maintain. Neither is overly active, but they regularly move between basking sites and shelters, and are likely to wander about the cage when hungry. The published longevity for a Colombian Boa is just over 40 years; pets regularly survive into their 20’s and 30’s. The published longevity for a Rosy Boa is 29+ years (living at time of publication), and many captives approach and exceed age 20. 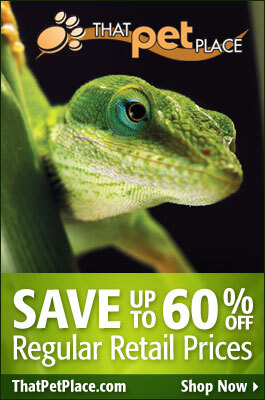 Both species breed reliably, and make an excellent introduction to this fascinating aspect of reptile-keeping. I especially like the fact that they bear live young, doing away with the time, expense and worry (for us!) of egg-incubation. 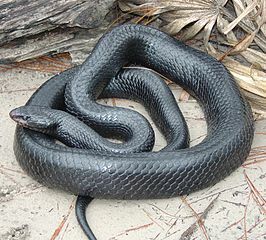 The purchase price for a normally-colored individual is similar for both snakes. Prices increase for rare or unusual color morphs – to $5,000 or more for “special” Colombian Boas! However, the normal coloration of each species is spectacular, and natural variations, especially for the Rosy Boa, are seemingly endless. Several Rosy Boas that I encountered while studying insects in Baja California, which were blue-gray and marked with 3 pinkish-orange stripes, stand out as being among the most beautiful snakes I’ve seen. The Colombian Boa’s great size makes it vastly-more expensive to keep when compared to its smaller cousin, the Rosy Boa. Colombian Boa: 75-85 F, with a basking site of 90 -95 F; basking bulb and sub-tank pad recommended. Food intake will vary among individuals and with temperature, season, life cycle stage, and other factors. Both accept pre-killed rodents. Colombian Boa: 1 appropriately-sized mouse each 7-10 days for youngsters. Adults do fine when offered an appropriately-sized rat each 10-14 days. Some keepers use guinea pigs or small rabbits for especially-large adults. Rosy Boa: Fuzzies and young mice are preferable to adult mice (Rosy Boas have rather small heads and their jaws are ill-suited to swallowing large meals). Youngsters should be fed each 7-10 days, adults each 10-14 days.